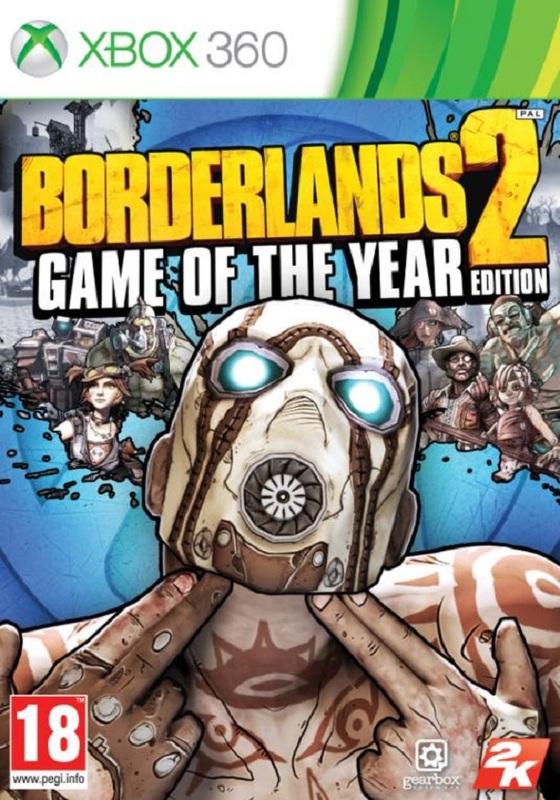 Today 2K Games, the publisher of Borderlands game series, together with Gearbox Software (the game’s developer) have announced the Game of the Year Edition for Borderlands 2 game. According to the information provided by these two companies, Borderlands 2 GOTY Edition will contain all the major content released since 2012. In this pack, which is scheduled to be released on the 11th of October, you will find: Borderlands 2 game, its numerous add-ons (Captain Scarlett and her Pirate's Booty, Mr. Torgue's Campaign of Carnage, Sir Hammerlock's Big Game Hunt, Tiny Tina's Assault on Dragon Keep, Creature Slaughter Dome, Gaige, the Mechromancer Character Class, Krieg, the Psycho Character Class, Ultimate Vault Hunter Upgrade Pack 1, Gearbox Gun Pack), as well as Golden Key, Vault Hunter's Relic bonus, heads and skins from the collector's edition. Gearbox Software has also reported that Borderlands 2 GOTY Edition will be released for PC, Xbox 360 and PS3 and its price will be £29.99 for the first platform and £39 for the consoles. So if you're a big fan of this RPG, then you have the perfect opportunity (for a fairly small fee) to buy the most complete edition, which Borderlands 2 game has ever got.